Â Â 3.Compared with the same kind cylinder,the same closed height,there is aÂ longer lift stroke. Established in 1978, Jiangsu Feiyao Machinery Manufacturing factory is an professional leading manufacturer of hydraulic tools in China.Â Such as PLC lifiting systerm, hydraulic cylinders, torque wrench, nut splitter, flange spreader, gear pullers, hydraulic pumps and accessories etc. Our products have been widely sold to Europe, South-east Asia and Middle East, and have got high appreciation and trust from all our customers. Whenever you need hydraulic products, please rememmber our company is always your reliable friends. 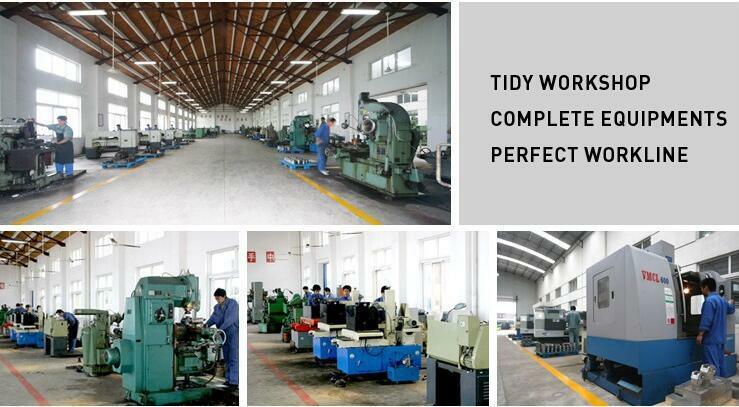 Our well-equipped facilities and excellent quality control enables us meet customers' satisfaction. Besides,Â we have gained CE and ISO9001 certificates. We warmly welcome all overseas customers to talk with us about business or other cooperations. Any phone call, E-mali, Fax from you would be aÂ beginning of happy cooperation. Jiangsu Feiyao Machinery Manufacturing Co., Ltd.Â is aÂ professional hydraulic tools manufacturer with 30-year experience in the design, production, sale and service of Hydraulic Products, Electrical Control Equipment and Mechanical Devices. Over the years we have grown into aÂ diversified market based that now services customers all over the world. We enjoy listening to our customers needs and ideas while working hard to provide the best service and delivering the highest quality of parts. We believeÂ "service"Â is our number one customer. We hope our commitment to provide our customers quickly and efficiently with competitive prices will keep you coming back. IF YOU ARE LOOKING FOR SOME HYDRAULI JACKS BUT DO NOT HAVE WHOLE SPECS, PLEASE AT LEAST TELL US THREE FACTORS:Â 1. TONNAGE; 2. STROKE; 3. CLOSED HEIGHT.Â WE WILL RECOMMEND THE MOST SUITABLE TYPE FOR YOU. A1: Please emailÂ or call: +86-180-5260-6778 for pre-sales. Q2: How to make payment? A2: Once order confirmed, we will prepare proforma invoice with our banking details. Q3: How long does it take to process orders? A3: It usually takes 10-14 business days to process most orders for no stock, if stock available, only take 2-3 business days. Q4: What is the packing method? A4: For small piece, we use carton box; for big piece, we use exporting grade plywood case. A5: Sea freight, Air freight or International express(DHL, FEDEX,UPS...) all are available. Q6: What is the warranty? A6: 12 months against B/L date.